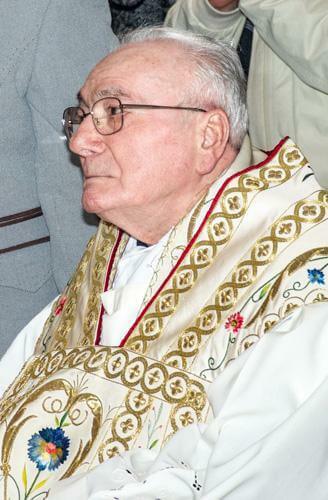 We are sad to learn of the death on 13th July of Father Antonio Dario of the Verona Oratory, in his eighty-seventh year, of which sixty-three were spent in the Congregation. Fr Dario was Provost of Verona for thirty-three years, with three brief interruptions, and at the General Congress of 1982 was elected Procurator General of the Confederation of the Oratory, which he remained until 1994. On his election he said, "I accept with the same enthusiasm with which Jesus mounted His Cross: I do not seek this office, but I take it in a spirit of service and availability for the good of the Confederation". As Procurator, Fr Dario signed the decree of 27th April 1993, which established our house as an independent Oratory of Pontifical Right.